Consulting can be one of the most lucrative and freeing businesses to be in. So why do so many consultants get stuck either below six-figures or create a six-figure business that holds them hostage? The secret is to learn to sell higher level contracts (less clients yet more money) but it takes a special skill set to do so. Why “when” you sell actually makes a bigger difference than “how” you sell. 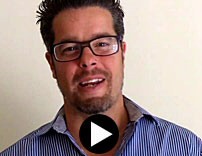 Here's an interesting video of Chris presenting a valuable lesson for all consultants.